Leading malayalam gec mazhavil manorama bringing 2019th edition of vanitha film awards to it’s viewers. 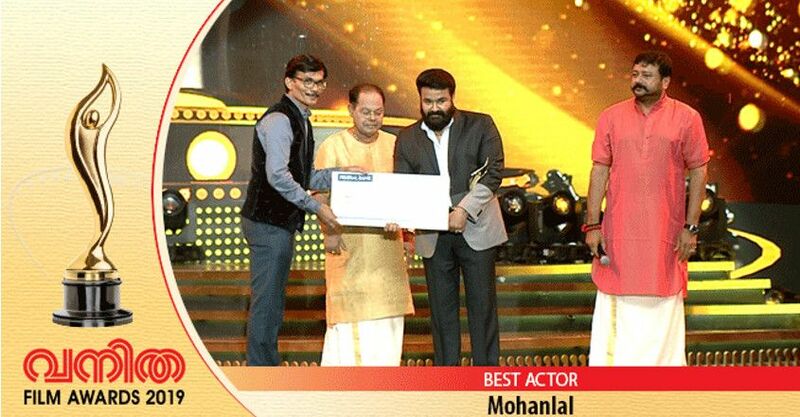 It’s scheduled to air this weekend at 7.00 p.m , Best Actor award won by Mohanlal for his performance in Odiyan movie. Best Actress is Manju Warrier, won the award for her performance in Aami and Odiyan. Aishwarya Lekshmi and Tovino Thomas were selected as the Popular Actress and Popular Actor. Lijo Jose Pellisseri’s Ea. Ma. Yau. won the award for the Best Movie at 2019 vanitha film awards. After the original telecast we can expect the full episode of 2019 Vanitha film awards at Mazhavil official Youtube channel. We can very soon expect ott mobile application, reports says they will launch it soon. Mazhavil manorama and Mazhavil manorama hd are free to air malayalam channels, getting through all leading cable and dth services.